Private Auschwitz Birkenau and Salt mine one day. PLEASE NOTE - Price do not include: guide, admission fees Must-see places? Definitely Auschwitz-Birkenau and Wieliczka Salt Mine. Our special offer allows you to see them in one day. First, we will take you (directly from your hotel, apartment, hostel) to Auschwitz and Birkenau, a place where over 1,000,000 people where killed. It was established in 1940. Auschwitz was a network of concentration and extermination camps built and operated in occupied Poland by Nazi Germany during the Second World War. Auschwitz was the largest of the German concentration camps. You will spend about 3h 30min in Auschwitz and Birkenau concentration camps, where you will join an English guided tour with the Museum’s licensed guide. The tour begins with a 15-minutes documentary film about the liberation of the camp. After visiting Auschwitz, we will head to Wieliczka. The Wieliczka Salt Mine reaches a depth of 327 meters and is over 300 km long. To get to the 64-metre level of the mine, visitors must descend a wooden stairway of 378 steps. After a three-kilometer tour of the mine’s corridors, chapels, statues and lake, 135 metres underground, visitors take an elevator back up to the surface. The elevator holds 36 persons (nine per car) and takes some 30 seconds to reach the surface. It features a 3.5-km touring route for visitors (less than 1% of the length of the mine’s passages) that includes historic statues and mythical figures. The oldest sculptures were carved out of rock salt by miners. Even the crystals of the chandeliers are made from rock salt that has been dissolved and reconstituted to achieve a clear, glass-like appearance. Over the centuries famous visitors have included: Nicolaus Copernicus, Johann Wolfgang von Goethe, Alexander von Humboldt, Dmitri Mendeleyev, Bolesław Prus, Ignacy Paderewski, Robert Baden-Powel, Karol Wojtyła (the later Pope John Paul II), former U.S. President Bill Clinton, and maybe YOU. You can choose the place of start Auschwitz Tour and Birkenau and Salt mine tour for example: Krakow / Katowice airport, others city. 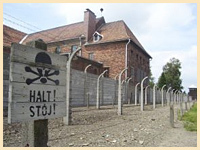 Book now Auschwitz & Salt Mine tour! PLEASE NOTE - Price do not include: guide, admission fees BeKrakow.com also provide small group tours to the Auschwitz Birkenau and Salt Mine in one day in one car maximum 8person. Our driver will pick you up from hotel/apartment between 8:45am – 9:20am, he will be waiting for you at the front desk of a hotel or in front of apartment. Just after collecting all passengers you will drive with our English speaking driver to the Auschwitz which take around 1h20. Visit with professional English speaking guide in the camps takes around 3h30 which include visit in the Auschwitz and Birkenau. After exploring Auschwitz Birkenau our driver will be waiting for you at main parking and he will take you to the Salt Mine. 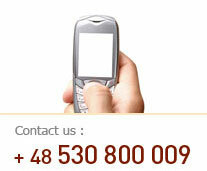 Visit with professional English speaking guide tour will take around 2h30. Before entering to the Salt Mine you will have around 1h breake for lunch – near Salt Mine is situated regional restaurant where you can try typical polish meals or we can stop on the way and take sandwiches. After exploring Salt Mine our driver will be waiting for you at main parking and he will take you to the hotel / apartment or Krakow city center.